If you’re travelling from outside Portugal, our nearest airports are Porto (2 hours) or Lisbon (3½ hours). Although further away, Lisbon is the easiest airport to travel from if you’re relying on public transport to get here. There’s a direct bus service. We do have a train station in the area (Santa Comba Dão, which is on the line from Coimbra to Guarda), but whether coming from Lisbon or Porto airport, you will need to change in Coimbra. 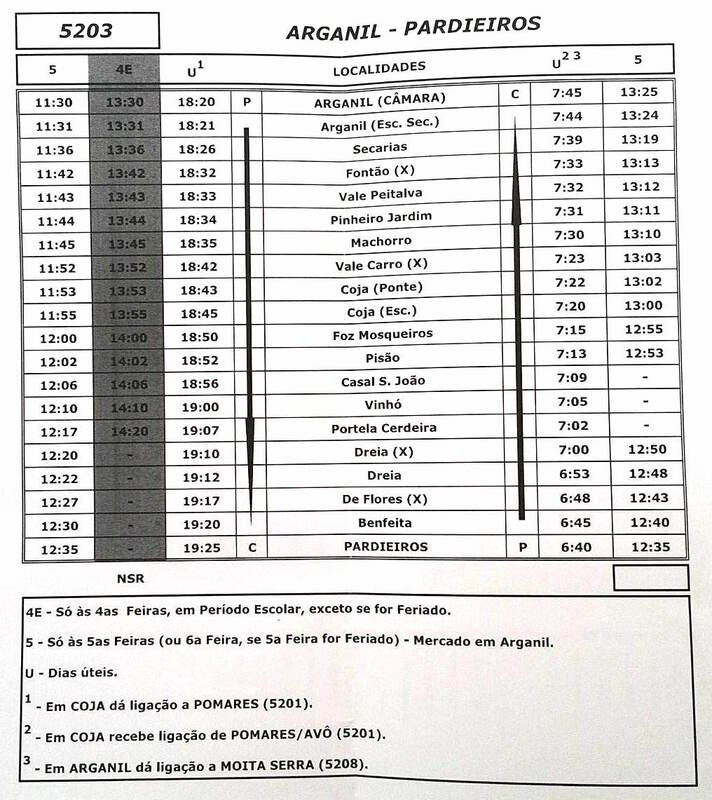 It’s easier to change from train to bus at this point, because the bus route is much closer to the quinta than Santa Comba Dão and the buses are more frequent than the trains. 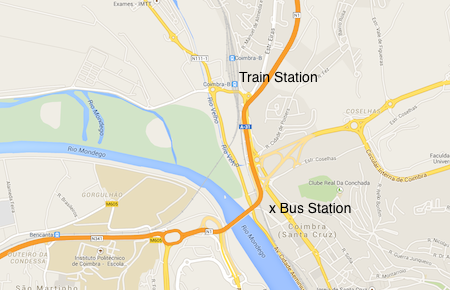 The train and bus stations in Coimbra are just a short walk from each other. There is a national express bus service (service 20) running direct between Lisbon (Sete Rios bus station) and Catraia de Mouronho which is the nearest stop to us on the EN17, although still around 25 minutes by car. This is the easiest way to get here by public transport. Catraia de Mouronho is the second stop out of Coimbra, shortly after Moita da Serra. It’s a roadside stop in the middle of nowhere with just a café on the other side of the road. Buses from Porto necessitate a change in Coimbra, and you can go to Catraia de Mouronho, Tábua or Arganil. I can collect you from Catraia de Mouronho, Tábua or Arganil by prior arrangement, or if you’re travelling to Arganil, a local bus runs to and from the village of Benfeita. However there’s only one bus a day – out to Arganil first thing in the morning and back to Benfeita in the evening (except on Thursdays – market day – when there’s an extra bus in and out of Benfeita in the middle of the day). The quinta is accessible with standard two wheel-drive vehicles. Once your visit is confirmed, I’ll supply you with a map to find us. If you’re using GPS to find Benfeita, please note there are two Benfeitas in this part of Portugal. You want Benfeita, near Coja in the concelho of Arganil, not Benfeita, near Mortagua in the concelho of Viseu. Once you arrive in Benfeita, it’s a steep climb up a single-track road out of the village, then the last kilometre is along a dirt track. The track is in reasonable condition, though can be more of a challenge during the winter rains. Underpowered heavy vehicles with rear wheel drive may struggle on a couple of sections. Vehicles with low suspension may ground out in places. If you don’t want to risk your own or a hired vehicle on the track, or if you’re nervous of driving an unfamiliar mountain track with a 100m drop to one side, it’s possible to leave your car in the village. It’s a much shorter walk up the hill to the quinta than to drive. If you have heavy luggage I can collect you. Please note I only provide a public transport pick-up service for course participants and volunteers. If you’re just wanting to visit, you’ll need to find your own way here.